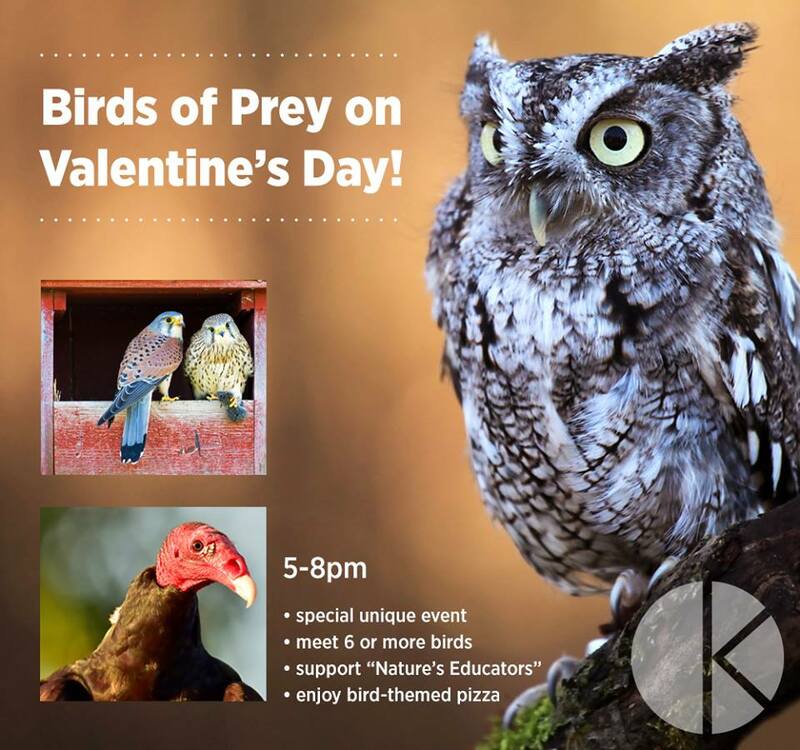 Join Nature's Educators and Kaos Pizzeria for a fun and unique Valentine's Day event! Make a reservation or stop in to Kaos between 6-9pm to enjoy wonderful food and drinks as well as meet 12 different birds of prey including owls, hawks, vultures, falcons, and an eagle! Kaos will donate part of the proceeds that evening to the birds! Why not have a unique evening this year? Hope to see you there! !